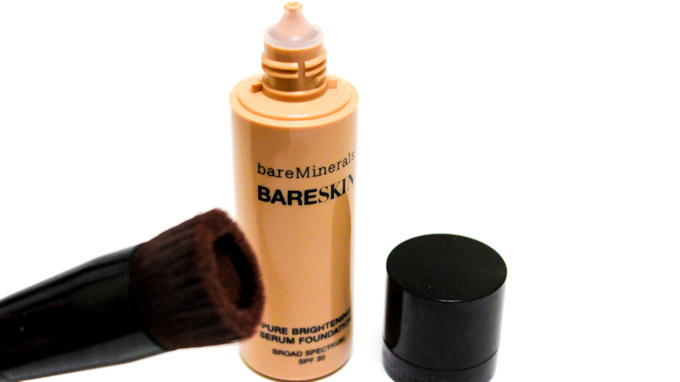 I'm so excited to finally be sharing Bare Minerals FIRST EVER liquid foundation with you guys! I've known for about six months that this was in the works and have been absolutely DYING to get my hands on it. Luckily, I was able to pre-order and get it early! 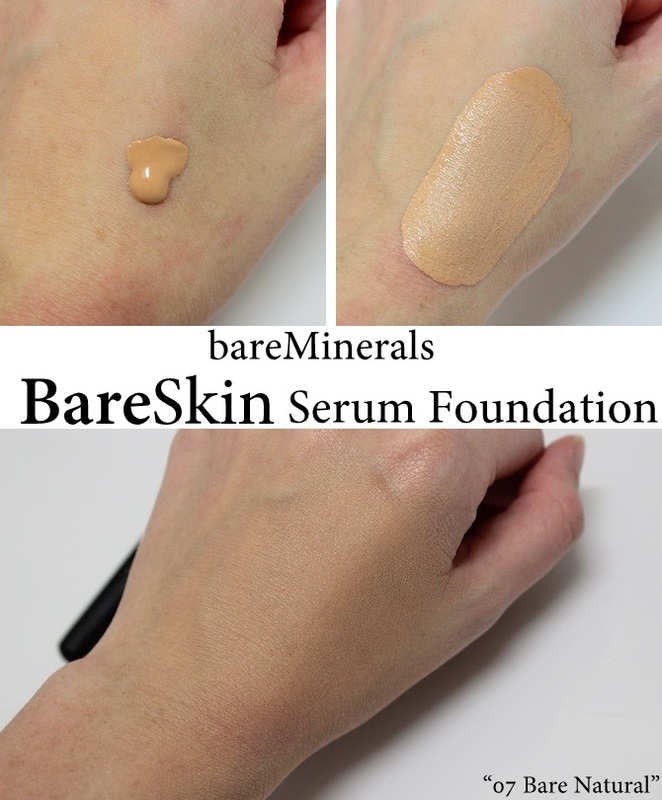 The Bare Skin Brightening Serum Foundation is unlike any liquid foundation that has ever been made. Bare Minerals designed and tested nearly 100 different formulas to finally get the perfect quality foundation. You can still expect healthy, natural, and even beneficial skincare ingredients in this formula! It's packed rich with vitamin c for a brightening finish along with lilac stem cell extract which is actually very beneficial for the skin! As you can tell, the packaging is very minimal. Bare Minerals wanted this to mimic the actual ingredients of the foundation! The bottle itself is completely different from traditional liquid foundation packaging. The application process is based on "drops", not "pumps". The bottle delivers one drop per squeeze. Bare Minerals recommends using 2 drops for sheer coverage, 4 for medium, and 6 for full coverage. I've found that I use about 8 for a solid full coverage look. The formula is amazingly hydrating. For a girl who has chronic dry skin, this feels like such a dream. The finish is also beautiful and glowy. It seriously makes your skin look so healthy! Excuse the dirty bristles of the brush. Of course I couldn't wait to photograph the products until I used them ;) The Perfecting Face Brush was designed to flawlessly buff the serum foundation into the skin. It contains a small reservoir for the foundation to sit in before application. I thought this was such an interesting concept! 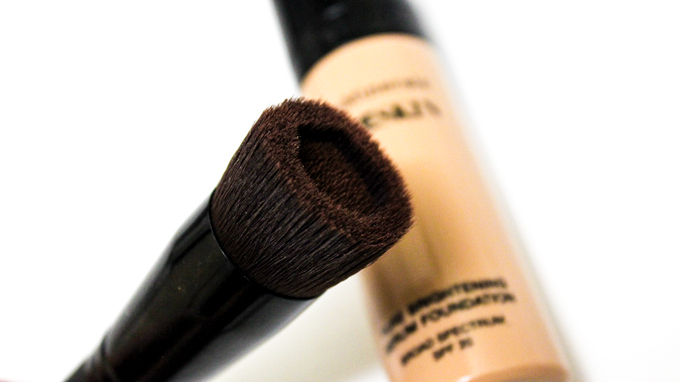 The brush truly blends the foundation into your skin as if it is your own. I was pleasantly surprised! The collection has 20 different shades to choose from. 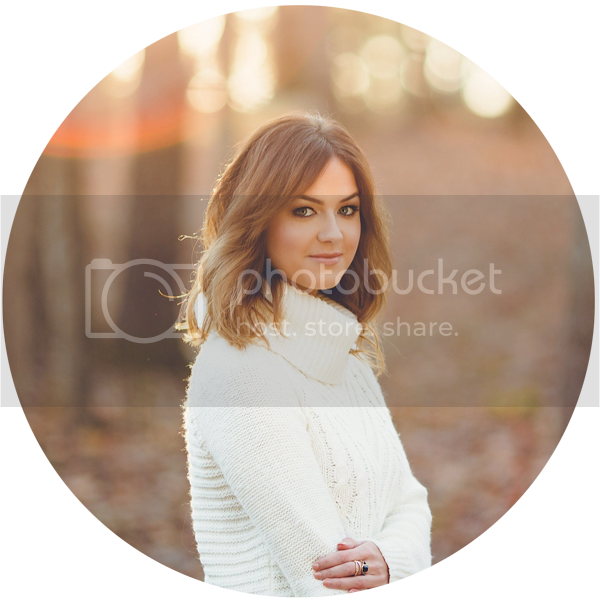 Undertones will vary from neutral, cool, and warm. Some of the colors have a mixture of two undertones. The bottles contain 1 fl. oz. of product and are $29 each. Here I am wearing the Bare Skin Foundation in the shade "Bare Natural". This can be closely compared to Medium Beige in the Original and Matte Formulas. I have a medium/full coverage on. I think this foundation will be great for summer! Like I mentioned, it feels great on my dry skin! Not only does it buff into the skin beautifully, it doesn't settle in my pores or under eye lines! Overall I'm loving this stuff! I've waited so long for it to arrive and I don't think I've had a makeup product that I've ever been this excited about using! Have you guys tried it yet? Let me know your thoughts! The foundation will launch in boutiques and certified retailers on May 1st but if you would like to get yours early, here is the QVC link! Also, I did a quick demo/first impressions video yesterday! Enjoy! I, for sure, want to try this foundation. What do you have on your lips in this picture? I love it. I have been wanting to try BM for ever but I didn't think the powder would ever be able to get me full coverage. I am so happy to hear that they have liquid now!! I hope they do a trial set!! Just found your youtube channel and blog, thanks for the reviews! I'm excited to try this out. If you're looking for a solid contextual advertising company, I suggest you take a look at ExoClick. good with no headaches. Below's just what you need download tutuapp apk the installation of TuTuApp on your Android device. best. Fantastic skills!! it is a well-managed blog and i am happy to see that it gets updated from time to time as well. Good platform to gain some information. check out ICICI Bank Customer Service Number and more here.